Historically, Salimetrics has always been more than just a good assay manufacturer. More often considered a scientific collaborator, Salimetrics’ extensive customer support stands by investigators in support of their specific aims, and always goes above and beyond. “It’s team science, through and through,” says Granger. From students to novice researchers to industry leading pharmaceuticals and contract research organisations, Salimetrics collaborates with investigators in both the academic and diagnostic fields across many scientific disciplines. “It gives me great pride when those we work with have tremendous success, are instrumental in revealing a new discovery, and through the incorporation of salivary measurements, become nextgen key opinion leaders in their respective fields.” Now with a base community of over 20,000 researchers worldwide, Salimetrics is indeed at the epicenter of salivary bioscience and remains committed to building and maintaining long-lasting relationships and collaborations with investigators interested in pushing knowledge boundaries. What you may not know is that Salimetrics itself has also transformed over 20 years. In 2013, its Technology Center and Saliva Testing Laboratory relocated to Carlsbad, California. The academic arm of this endeavour has moved from a lab at Penn State, to a center at Johns Hopkins University, and more recently to an institute at the University of California, Irvine. Most importantly, Salimetrics has remained family owned and operated. Salimetrics’ efforts started in a small, dark, under-equipped basement lab at Penn State University in the 1990s. “At first, salivary cortisol was attracting considerable empirical attention, and the research findings were high impact. However, we noticed the assays used in that research were largely developed in-house by academics. Comparing data between studies was a challenge because the methods were not standardised, and these methods were not optimised for use with saliva. At that time, the immunodiagnostic industry was unwilling to develop and commercialise assays designed specifically for saliva,” says Granger. “Our team recognised the importance to this emerging scientific endeavour of better assays. That led our group to take a leap of faith that would result in the much needed “step up” in assay quality, precision, accuracy, and standardisation for salivary cortisol. So, we maxed out our credit cards and charged ahead.” The release of the Salimetrics Salivary Cortisol Assay Kit in 1998 marked a new beginning for salivary bioscience research. Since then, Salimetrics’ assays have become the gold standard and the Salimetrics Salivary Cortisol Assay has become the most published salivary cortisol assay in the field. “In 2009, Hans Schroeder, my brother in-law, joined the company as a senior executive. Hans has transformed Salimetrics’ manufacturing and business operations and now serves as Chief Executive Officer” says Granger. “In 2013, Steve Granger, Ph.D., my brother, joined the company as Chief Scientific Officer and has modernised our scientific approach to assay development.” Various Granger and Schroeder family, children, and friends have also worked at the company over the years. Beyond our families, the Salimetrics’ team includes caring people with different backgrounds, from PhDs and Biotech experts to MBAs and CPAs, from academics and industry, who individually and collectively work to make us a better partner for salivary bioscience. 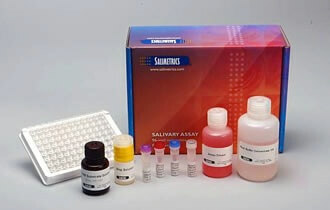 Today, Salimetrics provides more than 20 different high-quality salivary assay kits and also offers experienced saliva lab services for researchers without access to high-quality saliva testing.